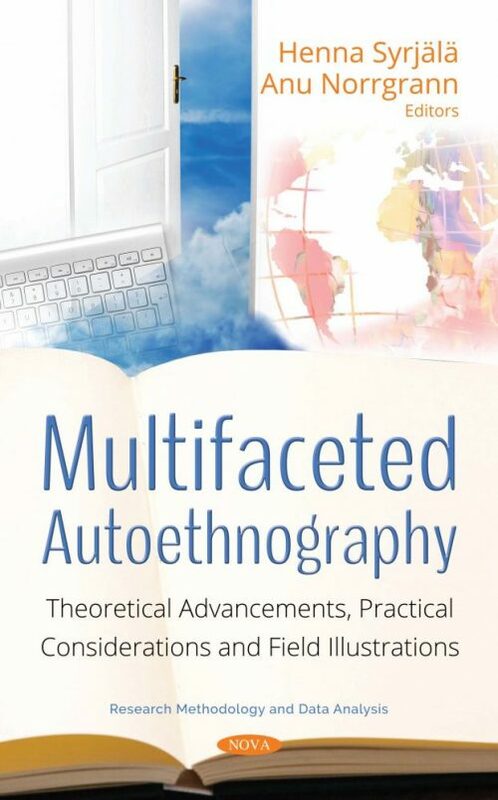 This book provides theoretical, methodological and practical insights into the use of autoethnography as a research methodology. Autoethnography offers unique possibilities to gain an in-depth understanding of social and cultural contexts as well as research topics through description and reflective analysis of personal, lived experiences. In this methodology, the researchers’ self-narratives enable exceptional insider perspectives into phenomena that can otherwise be inaccessible, or where similar situated understanding is difficult to attain through other methods. Yet, the book discusses how autoethnography goes beyond researchers’ self-stories by making sense of the complex social worlds where the studies take place. The seven autoethnographies of the book demonstrate the multifacetedness of this approach in an intriguing and insightful way. The collection showcases different types of autoethnography, and illuminates practical as well as ethical considerations in conducting this type of research. The contributors of this collection also take us on fascinating journeys into their fields around the globe, demonstrating how autoethnography can be applied in versatile ways. The book highlights how it can be employed for different purposes and to approach multifarious cultural phenomena in a variety of academic disciplines, from information systems, tourism, and consumer research to education, literature and psychology. For researchers and students with an interest in qualitative research methodology, this book offers rich and captivating illustrations of the opportunities and benefits as well as practical tools for avoiding pitfalls while using this methodology. The field provides accounts into different cultural phenomena, making the book not only an educational, but also an exciting read. The target audience for this book consists mostly of academics interested in qualitative methodologies, in particular ethnographic studies. This book is capable of attracting both academics that are more experienced, as well as those doing their doctoral or even under-graduate studies. Thus, it may be employed also among teaching materials. As the chapters of the book provide very vivid and interesting stories of cultural and societal phenomena from the angles of multiple fields of science, including business studies (marketing, management, tourism, and information systems), pedagogy, psychology and literature, it has potential to interest a broad, cross-disciplinary readership within social sciences, and arts and humanities.